Well this is According to a lady called Lopex Morrissa Escandell who claims on her bio of facebook and instagram that she is The most beautiful Queen on instagram and Facebook and the world at large. If you were born black and still black at age 18, you will never go far in life. I was born black, as in charcoal black but look at me today lighter than Bob risky and successful. Be like me, be like Bob Risky. 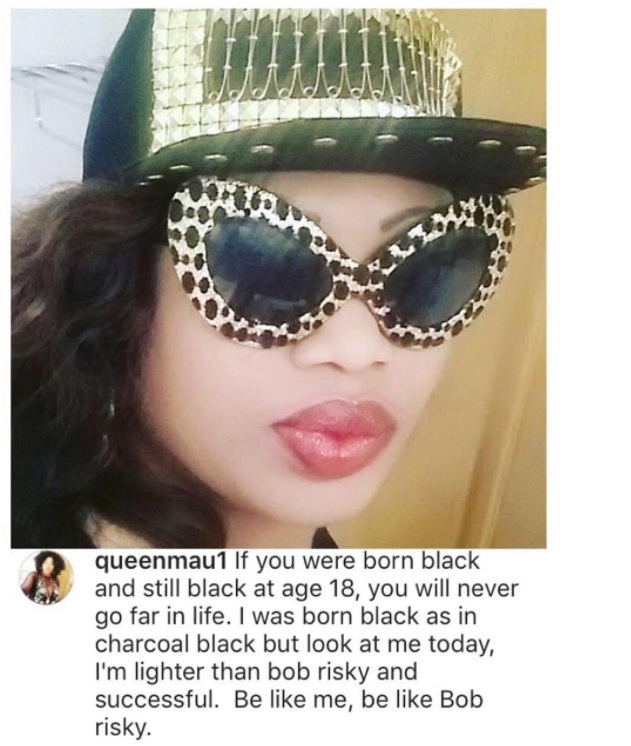 0 Response to "“Dark-Complexioned People Can’t Go Far In Life Unless They Bleach” – Nigerian Lady"